Anxiety is an unique and individual experience based on how we perceive and react to stress or any given situation. In this six week series, learn simple practices and routines to assist in managing your anxiety. Through breathwork, meditation, journaling, yoga nidra, and slow movement you will be guided through a weekly practice that you can take home with you. Often we are called to manage our anxiety in an instant, in a public space, where it may be necessary to use breathwork or simple movement in a very discreet way. Sometimes the most useful tools are the ones we need to use quickly, where you may want to keep these practices to yourself and personal to you. These ideas and routines will be discussed and approached. The intention of this series, is to teach you a number of modalities and slow movement sequences to ease the mind and body, but also to leave you with the simple tools to apply these practices throughout your day, potentially everyday, in the most challenging moments, when needed the most. During the 6 week series of Body Positive Yoga you will be empowered through meditation and yoga to innovate your practice for you. Body Positive Yoga is created upon the pillars of accessibility, consent, and empowerment. Your practice experience will be elevated by exploring your body, mind, and soul to create a practice that works for you. About the teacher: Molly has been practicing yoga for 10 years and has always had a passion for mindfulness. Her intention as a yoga and meditation teacher is to empower her students to show up as their best selves and ease stress. 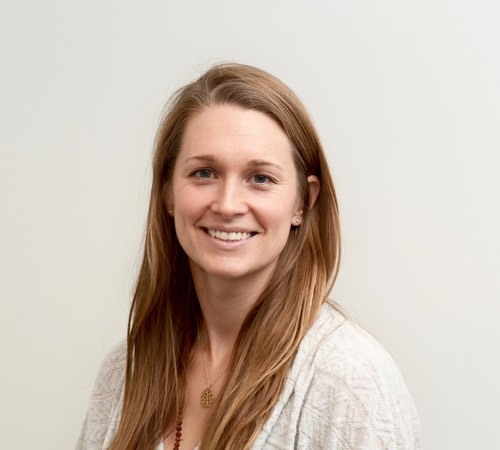 Molly's passion for mindfulness stemmed from her work in social impact, she has always worked with organizations focused on doing good and this is what brought her to teaching yoga. She works with individuals and businesses one-on-one to inspire them to bring mindfulness into their everyday lives. Reconnect with the physical, energetic, and psycho-emotional attributes of your pelvic floor. Our pelvis is responsible for many functions, from shaping our musculoskeletal framework, to housing our reproductive organs, as well as parts of the digestive and eliminatory systems. The pelvis is also an immensely impactful energy center in the Yogic tradition, and acutely connected to our emotional state. The pelvis and pelvic floor is the seat of our second chakra, named Svadhisthana, or “one’s own dwelling place”. There are many events in life that can alter our awareness and connection to this sacred and powerful seat in our bodies. Each week in this four week series will focus on a different aspect of the pelvis and pelvic floor to which we can reconnect. Topics will include proper pelvic alignment and pelvic floor function in movements and postures. Yoga Therapy techniques such as a self assessment tool will heighten body awareness and alignment. Tools for diaphragmatic and pelvic floor breathing for proper engagement and release will be explored through gentle movement and props. In weeks three and four, the energetic and emotional aspects of our pelvis and pelvic floor will be woven into restorative postures and meditations on self nourishment and well-being. This workshop is open to all who are interested in general health and greater function of the pelvic floor. A five minute phone conversation with Renee prior to the workshop series is included. A FREE six-week yoga series for those affected by traumatic brain injury. 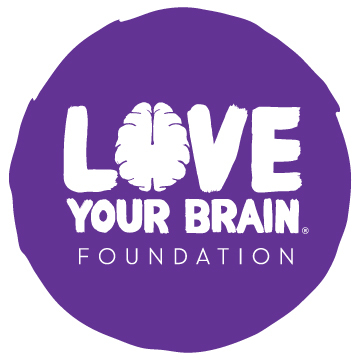 Room to Breathe has chosen to partner with LoveYourBrain because we truly believe that yoga can empower everyone who can breathe. This is a six-week series that is a brave and loving space for those who identify with the LGBTQIA+ community, or those who identify as gender or sexually diverse. Folx in the process of questioning their gender and sexuality are also welcome. This is a space to center and cultivate queer voices. Therefore, it is not a space for allies. Time is divided by 1 hour of yoga, and 30 minutes of discussion. Some of the themes we will discuss are sensitive and can be activating or challenging. Because we support our students wholeheartedly, Meredith Stockton, LCSW, will be on-call during this series to assist in processing any emotions that may arise. Cancer treatment can often involve surgery, chemotherapy, or radiation therapy, all of which have shown to be highly effective in treating the cancer itself, but often leave behind challenges in their wake. Many cancer patients experience residual pain, functional impairments, or anxiety or depression during and after the completion of their cancer treatments. Therapeutic applications of yoga can offer an amazing practice that promotes wellness during and after cancer treatments, and also offers an empowering and supportive environment for participants to encounter their own capabilities for healing. Yoga can offer physically soothing practices, practices that decrease anxiety, and can be modified to meet physical challenges. Need a support person to help you attend? They are welcome. Check our our policy here and just let us know in advance if you will be taking advantage of this. Every body needs downtime and rest. Real rest. Especially in our yoga practice. Downtime helps avoid burnout and encourages a balanced body and mind. Unplugged is just that. A two hour holiday from effort, obligations, daily stresses, responsibilities and screen time. This special class will begin with gentle breathing, movement and restorative postures in preparation for a decadent Yoga Nidra session. You will leave feeling refreshed and rebooted. In this workshop, you'll learn a type of self-massage that utilizes trigger point therapy with special gripping rubber yoga therapy balls. You'll start off with a little movement, followed by self-massage targeting the hips, IT band, and quads. You'll finish with some restorative postures to complete the deep release. Have you been called “too sensitive”? Are you easily overwhelmed by your emotions and level of empathy? Do you experience sensory overload? Highly sensitive person (HSP) refers to approximately 20 percent of the population who are born with a trait called sensory processing sensitivity (SPS). HSPs are often sensitive to sensory input, feel emotions intensely, process information deeply, and notice subtleties in the environment that others may not. Yoga offers a natural refuge of for highly sensitive people to self-soothe and find peace. In this workshop, you’ll learn practical tools to help you transform feelings of anxiety and self-judgment, embody lasting self-compassion, and care for your sensitive nature. Plus, you’ll meet other sensitive souls like you to share and learn from in a safe, non-judgmental setting. Strategies and visualizations for releasing heavy emotional baggage regardless of whether it belongs to you or someone else. This special class will combine yoga and Shiatsu to create a restorative evening of self-care. An evening in which you could experience both therapies and the soothing effects they have on the subtle body. When the nervous system is soothed, tension is unraveled and connective tissue along with muscle memory can be released to renew and heal. We will practice a sequence of restorative yoga postures, in some of which you will receive gentle Shiatsu hands on touch (thumb, finger or palm pressure) along meridians or just on specific points in different areas of your body. Shiatsu is practiced on the body fully clothed. Wearing socks and comfortable warming clothing is recommended to keep you cozy for this workshop. Take this opportunity to simply pause in the chaos of life and breathe, listen, observe, practicing just being rather than doing. We will explore and become aware of the relationship between energy and asana, structure and feeling, doing and being. You will be invited to deeply relax and feel a sense of grounding. The combination of these practices creates space for relaxation to deepen, promoting the innate capacity for self-knowledge and self-healing. Shiatsu is a Japanese traditional healing art that has its roots in the ancient wisdom and principles of Chinese medicine. Shiatsu is based on the same medical system as acupuncture. SHI means finger and ATSU means pressure. Shiatsu is a manual therapy that uses thumb, finger or palm pressure along with stretches to stimulate the energy pathways in the body. We experience life energy or Ki (Japanese for Qi) in the form of movement, communication, respiration, digestion, thoughts, feelings, etc. Any blockages or stagnation within the energy channel matrix of the body can result in physical, psychological and emotional disharmony. Shiatsu helps balance the energy on all levels, while experiencing a profoundly relaxing and therapeutic musculoskeletal treatment. Benefits of Shiatsu include reduced stress and anxiety, muscle tension relief, increased mobility, improved digestion, better sleep and clearer mind. It is common to feel more grounded, centered, and aware of better sense of mind body connection after the treatment. What is the connection between shiatsu and yoga? Yoga and Shiatsu are two practical sciences, both rooted within the ancient traditions from China, Japan and India. Yogic view of a healthy body consists of a steady flow of Prana (vital energy) through a matrix of Nadis and Chakras. Shiatsu perspective is that Ki (Japanese for Qi, vital energy) is flowing through the body through meridians. These channels can be seen to relate to organs and can be linked to specific areas and tissues of the body. They intersect with blood vessels, muscles, tendons and sinews but have broader functions relating them to emotional and mental states. Stress, diet, multitasking, overwork or injury can promote imbalances understood in Classical Chinese Medicine as blocked, depleted or out of balance flow of Ki. With Yoga and Shiatsu we can cultivate embodied awareness of the meridian system and its unity in order to restore healthy balance of Ki and Prana. Practice of postures with application of a healing touch of Shiatsu will stimulate different meridians and create a ripples effect. Practicing postures with an understanding of wider function of meridians related to different areas of the body will grow a new sense of interconnectedness and enrich a general perception and feeling of being whole in a human body. The essence of both practices is to support us in returning to our true nature, to engage with our deeper selves. The methods offer tools to help expand space and, within that expanded space, possibilities for deep quiet, acceptance, creativity, clarity might arise. Steph is a french-native, Chicago-based yoga teacher and mother, with over 500 hours of training, including 200-hours certified by Yoga Alliance, she specialized in Prenatal and Postnatal Yoga, and earned a 95h certification by Amala School of Prenatal Yoga, she completed additional trainings in restorative yoga, Yoga Nidra for pregnancy and birth support, and massage therapy. Gordana has an endless curiosity about what it means to be a human being and what life might be about. This curiosity led her to her first yoga class in 1996. Her journey of learning is still unfolding. She completed 200-hour yoga teacher training at Moksha Yoga Center in 2010 and went on to complete over 500-hours of formal training in the US and more hours of studying Eastern philosophies and practices in India and Nepal. She has been teaching yoga since 2010. Gordana has a devotional, all-inclusive and integrative approach to her teaching. Daily practice is the root of her exploration and inspiration. It teaches her to overcome habits, relax within, find discipline, be open and fearless, realize sacredness in everyday life, trust courage and be honest.She considers an array of practices for increasing space, sensitivity, and capacity to experience reality as it is. Gordana is committed to learning while also serving and supporting others on their personal learning path in the ways that she authentically knows. She teaches Ashtanga Vinyasa, Mysore and Yoga Nidra throughout Chicago. Gordana is also a certified Zen Shiatsu therapist supporting others with healing art of manual therapy. Reconnect with the physical and psycho-emotional attributes of your pelvic floor. Our pelvis is responsible for many functions, from shaping our musculoskeletal framework, to housing our reproductive organs, as well as parts of the digestive and elimination systems. The pelvis is also an immensely impactful energy center in the Yogic tradition. Because of its significance, the pelvis can be easily misunderstood, or improperly utilized. This workshop will bring awareness to the beauty of your pelvic floor. Yoga Therapy techniques such as a self assessment tool will establish proper alignment and body awareness of your pelvis. A movement practice will repattern how we engage our pelvic floor muscles, and how to consciously relax. Aspects of fluidity, sensitivity, and Yoga’s view of feminine energy will be woven throughout. This 6-week workshop series is appropriate for anyone who experiences depression, whether seasonally or long-term. Each week, you will practice techniques to self-soothe and balance mood and energy. The teacher will address various symptoms of depression (fatigue, lack of motivation, low self-image, digestive issues, and more) and how they are seen through the yogic lens of the 5 koshas, or layers. You will learn tools to work within each kosha to identify and address these symptoms. The workshop will include postures and movements (asana), breathing exercises (pranayama), and meditation techniques. You will also learn about yoga philosophy, including the Yoga Sutras, and how these ancient teachings can be helpful in reframing thought process and cultivating peace of mind. No yoga experience is necessary. Come as you are, and bring a notebook or journal. *Class will not be held on February 21. Whitney, certified yoga therapist and trauma-informed yoga teacher, has specialized training in mood management and chronic pain. She studied under Amy Weintraub, founder of Life Force Yoga® Healing Institute, and Genevieve Yellin, founder of Trauma Informed Yoga Therapy (TIYT™). Whitney was diagnosed with anxiety and depression as a young adult, and has been using yogic techniques and lifestyle to self-regulate for 10+ years. She believes strongly in the power of yoga as a complementary treatment for many conditions, and she understands that treatment will be different for every individual; each person experiences their own unique process. This workshop will offer you a variety of tools from which to choose and incorporate into everyday life. Cami provides therapy for clients who are struggling with anxiety, lifestyle/wellness, self-esteem, effective communication and family conflict. She believes that everyone needs to take a break to slow down. She will be available as a therapy resource throughout the sessions. Journaling is a potent and effective practice of self study and growth. In this class we use restorative yoga postures and journaling to go deep and ask some important questions to self realization. This class is open to all levels and people recovering from injuries. Practicing constructive rest we will do physical postures that do not put any pressure on joints and will cultivate a deep level of relaxation. Focus on reconnecting with what is truly important to you through prompts that will lead you to clarity and purpose. Journaling and Yoga have been a extremely important healing strategy in my own life physically, mentally, and emotionally. I have been writing since I was young, growing up in Flint, MI. After graduating from Columbia College in Chicago with a degree in Poetry and then becoming a yoga teacher I knew that I wanted to create space for people to explore these modalities. Please join me for this exploration that takes the physical postures into the deeper layers of the yogic path. Have you been called “too sensitive”? Are you easily overwhelmed by your emotions and level of empathy? Do you tend to experience sensory overload? Yoga offers a natural refuge of for highly sensitive people to self-soothe and find peace. In this workshop, you’ll learn practical tools drawn from yoga and modern psychotherapy to help you transform feelings of anxiety and self-judgment, embody lasting self-compassion, and care for your sensitive nature. Plus, you’ll meet other sensitive souls like you to share and learn from in a safe, non-judgmental setting. In this workshop, you'll learn a type of self-massage that utilizes trigger point therapy with simple tennis balls. You'll start off with a little movement, followed by self-massage targeting the hips, IT band, and quads. This is perfect if you plan to run the marathon the following weekend. You'll finish with some restorative postures to complete the deep release. Have you heard about the benefit of a consistent yoga practice but you're not sure where to begin? This series is geared exclusively for those new to yoga and takes place in a comfortable non-judgmental environment. You'll learn the basics of yoga practice, including physical postures, breath work, meditation techniques, and more! You'll learn to customize the practices for your body and your goals. You'll explore how yoga and meditation go hand in hand to create focus, clarity, and self-discovery. Looking forward to seeing you on the mat! Often the deepest grief can spur incredible transformation within an individual. In this series, we will explore the yogic practices + Western psychotherapy techniques that can support your mind and body through loss. Blending the work of Tibetan Buddhist Pema Chodron, with ancient tantric yogic wisdom, modern psychotherapy, and practice, we will build a toolkit of practices you can use on your healing path. Included in this healing path, we will process emotions in a supportive group environment. Our focus will be to use loss as a way to cultivate compassion, develop self-awareness, and, ultimately, create more liberation (freedom, opportunity, hope, optimism, confidence). All are welcome; no experience needed. You will not be required to share details about your life and all participation is voluntary. Email serena@roomtobreathechicago.com with questions. What is the opportunity in the groundlessness of loss? What are practical tools you can use to take care of yourself as you grieve? How does the "Hero's Journey" apply to modern life and loss? How can we support each other as we move forward? What tools does yoga offer to those grieving? What tools does Western psychotherapy offer to those grieving? Addiction does not discriminate, it affects people of all ages, genders, social and economic backgrounds. Active addiction is a habit of "reaching" for something, be it drugs, alcohol, gambling or a smart phone, etc. When stuck in the cycle of addiction we are constantly reaching for outside sources to help us feel soothed, secure and whole. Yoga shows us that often what we are yearning and grasping for already resides in abundance within. A balanced yoga practice can help us to feel soothed, secure and whole via our inner wisdom and strength. Yogic philosophy offers guidance on how to live a purposeful and fulfilling life and can be a perfect accompaniment to 12 step programs. This 5 week series will offer an introduction to the practice of yoga, and tools to support you on your journey of recovery. ~Week 1 you will learn about yoga, it's liberating "8 fold path" and what makes it ideal for healing addictive behaviors. Come prepared for some light lecture and a yoga practice that includes a sequence you can take home with you. ~In the following weeks, each session will begin with a yoga practice filled with relevant concepts, and themes useful to recovery. Class will also incorporate light journaling, and other helpful tools that can be used on and off the yoga mat. Practice will be followed by a peer sharing circle led by Natalie and Anne. Goal: Empowering women throughout the journey of Pregnancy and Birth by teaching them how to maintain a serene mind in a healthy, strong, yet relaxed body. Prenatal Yoga is a supportive practice, beneficial for both mothers and babies. It uses physical movements, breathing and meditation techniques to safely address the changing needs of the mother’s body, enhancing her mind/body connection. It is an excellent labor preparation building endurance, and giving the mother the skill to deeply relax, helping to reduce her fears and apprehensions. Each Week, a 90 min workshop dives into a different thematic (i.e. the pregnant body changes, the pelvic floor, conscious respiration, low back care, pain coping strategies for labor ) with an education part -- a short lecture on that day specific topic -- followed by a full practice ending with a deep guided relaxation. Then, we will allow time to share and connect as a community of pregnant women, in a friendly atmosphere. Your feet carry you through life. With each step you are given the opportunity to explore, move, seek, wander, share, grow. This special yoga class is an opportunity to show our amazing feet the love and respect they deserve! Explore techniques to strengthen, stretch, stabilize, and massage your feet! Wear your yoga clothes and come prepared for movement. Loose, soft & cozy socks for savasana highly recommended! You will have the opportunity to indulge in a daily yoga and mediation practice, enjoy delicious meals on the veranda made by our private chef, sun bathe and swim in the infinity pool, kayak in the ocean right out front your bedroom door, hike in the lush surroundings, and have the ability to experience beautiful Croatian culture. You will stay at the gorgeous Villa Gumonca in the town of Mirca. The villa is situated just a few meters from the beach with spacious outdoor areas to practice yoga, a heated pool, a garden to pick fresh veggies and fabulous views of the sea and mainland. Use this retreat to disconnect from city life, reconnect with nature and your inner power while you unwind in the sun or be adventurous on the island. 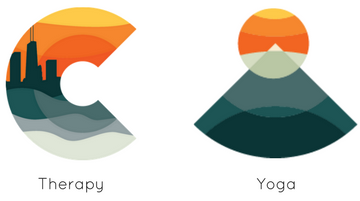 Yoga and Art Therapy are healing modalities by themselves but together they present an added dimension of care. The body and our creative intuitions can express the truth of one's experiences in a completely transformative way. Our bodies hold our emotions, so by doing Yoga and Art Therapy, you can access deep emotions and then express those emotions on a fundamental level, perhaps even being able to bypass our typical rigid defense mechanisms. Join us as we develop insight into our selves and improve our ability to make conscious choices through Yoga and Art Therapy. No prior meditation experience is necessary. Cups and a variety of teas will be provided. It’s recommended to eat a light meal before this workshop, and avoid heavy/sleepy foods right before - we’ll be meditating, after all! Printed handout material will be provided. Please note: These are traditional “true teas” from the tea plant, Camellia sinensis, and not herbal or medicinal teas. They have some natural caffeine. Participants will be guided on how to self-regulate within their comfort zone. Unlike many herbal teas, there are no major contraindications for Camellia sinensis tea. For more information about tea meditation training, visit BeingTea.com. Stay tuned for a new date this fall! In this workshop, you'll learn a type of self-massage that utilizes trigger point therapy with simple tennis balls. You'll start off with a little movement, followed by self-massage targeting common tight spots in the body. You'll finish with some restorative postures to complete the deep release. This edition will be targeted to lower back tension. Delphine and Stephanie from Chicago Breakfast and Yoga Club are happy to invite you to their second spring edition this year. Following our chakra series events, this time we will explore our connection to our third chakra or solar plexus, the seat of power, transformation, and warrior energy. The whole experience, from the yoga flow to the recipes are designed to strengthen and balance your solar plexus energy. We will start with a 60 minute morning yoga flow focused on cultivating a strong yet supple center stocking our inner fire, exploring twists and playing with balance. We will then enjoy a healthy vegetarian breakfast full of seasonal ingredients, particularly relevant to Manipura, the power chakra, like naturally metabolic-boosting foods, to complement the benefits of our yoga session. Join us for this mindful morning and leave, feeling motivated and energized for your weekend. 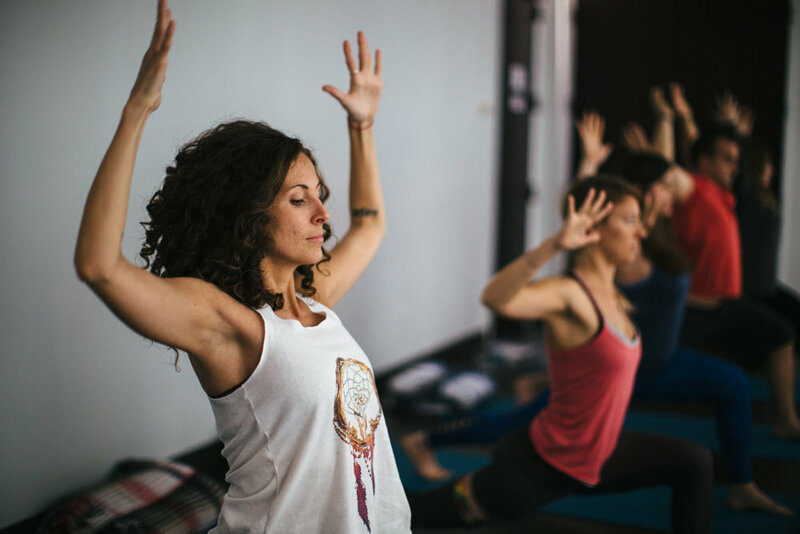 Chicago Breakfast and Yoga Club creates experiences that blend mindful yoga movements, meditation and healthy nutritious food, shared within a community of yogi foodies. many people a Meditation practice seems unapproachable and unattainable.